Donald J. “Idiot in Chief” Trump just couldn’t leave it alone. 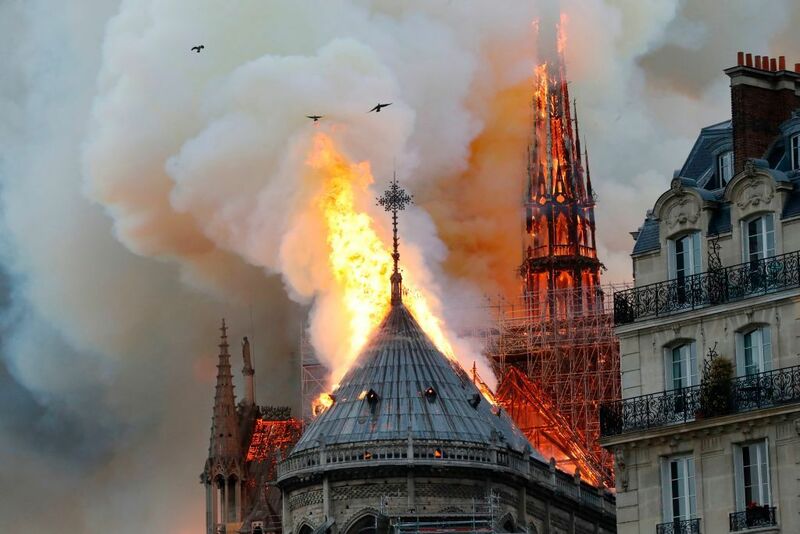 The Cathedral of Notre Dame in Paris caught fire. It burned so badly, the cathedral’s iconic steeple collapsed. French firefighters have managed to control the blaze. They saved the towers. A CBS News picture shows that the altar and the crucifix in the sanctuary are still standing. A miracle? Yes! The president of the United States posted a Twitter message lamenting the tragedy — and then offered some idiotic advice. Why not deploy firefighting aircraft to dump tons of water on the 850-year-old building? he said. Not a good idea, Mr. President. Such water being dumped could cave in the roof, completing the destruction the heroic firefighters have managed to avoid. My advice to you is this, Mr. President: Shut the fu** up and don’t offer advice on matters about which you know nothing! Previous PostHope battles fear as AG Barr preps to release reportNext Post‘Trump 2020’? Where is VP Pence’s presence?